The Queen Rubicon (B534-266) Leather Queen Sleeper Sofa by Natuzzi is offered on sale in a wide range of top-grain leathers. Clean lines throughout and complementing track arms make this style a perfect fit for any living area. A unique folding euro mechanism offers incredible comfort as both a sofa and a bed. 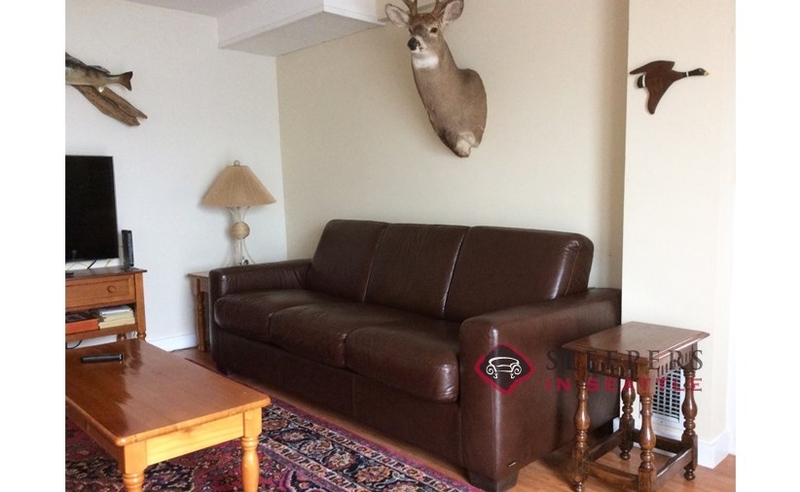 I was completely satisfied with both the delivery service and the exceptional quality of the sofa. I had been shopping for a leather sofabed for over a year and had been disappointed with the produces I reviewed locally. They were either poor quality or over-priced. When I found your site, I was initially hesitant due to the distance and not being able to actually view the sofas beforehand. You patiently provided information and a variety of leather swatches to help me guage the quality of your products. Over the course of our chats, there was never any pressure or frustration shown. You remained consistently, consummately professional. As a result I'm absolutely delighted with my choice, and you'll have a fervent advocate singing your praises. This sofa is no joke! Thank you for the terrific service and the new sleeper. I will be back with any future furniture needs. This is a beautiful couch. I loooove leather furniture, so if we were going to get a sleeper, I was going to make sure it was leather. It's beautiful, as you can see in the picture, but I was surprised by how comfortable it is. The cushions are no joke, they make for a very comfortable seat. I highly recommend the Rubicon, you won't be disappointed. Is this made entirely out of leather? Yes, absolutely. This product is made from 100% leather. 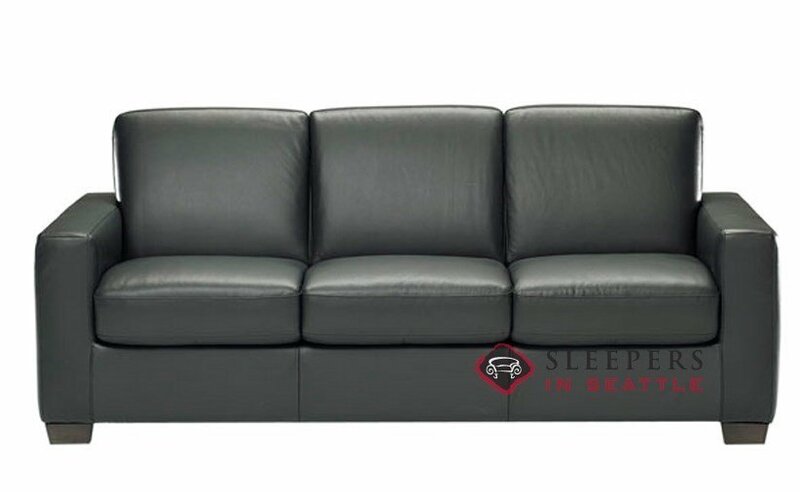 How much does this sleeper sofa (Rubicon) weigh? The Rubicon Queen Leather Sleeper weighs approximately 250 lbs. 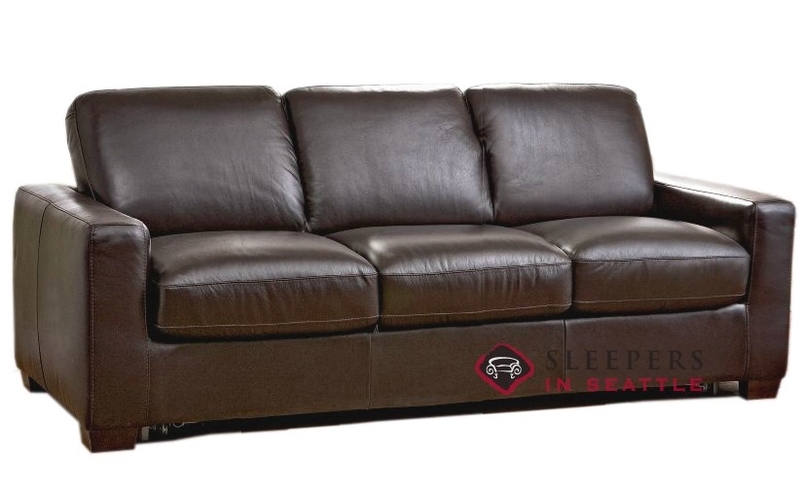 Can you make leather sofa bed, queen size from full grain leather ? Yes, this model is made from 100% full grain leather, always! Excluding the cushions, the back height of the Parker is about 30". Excluding the legs as well, the height is about 27.5". The Parker can be delivered through hallways and doorways that are quite narrow. What is the height from the floor to the top of the arm of the natuzzi ? The height, from the floor to the top of the arm of the B534 Sleeper, is 24.5"--or 21.5" without including the feet. What is the actual width of the mattress on the rubicon sleeper. I do apologize for the confusion. The mattress within the Rubicon is 60" wide. 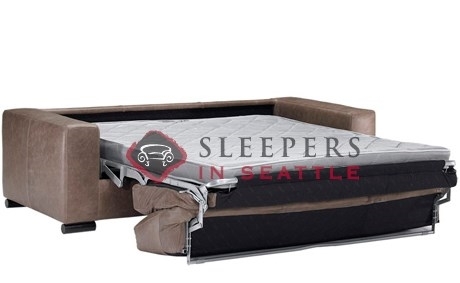 Yes, all the Rubcion model sleeper sofas, in all sizes, feature the sleeper pull out system as shown in the video (pulls down from the top of and behind back cushions). What is the depth when bed is open? 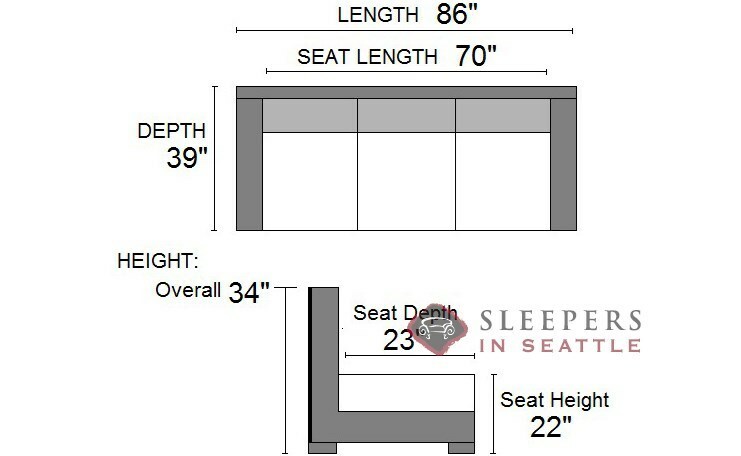 The depth, from the back of the sofa, to the end of the bed, is about 79". 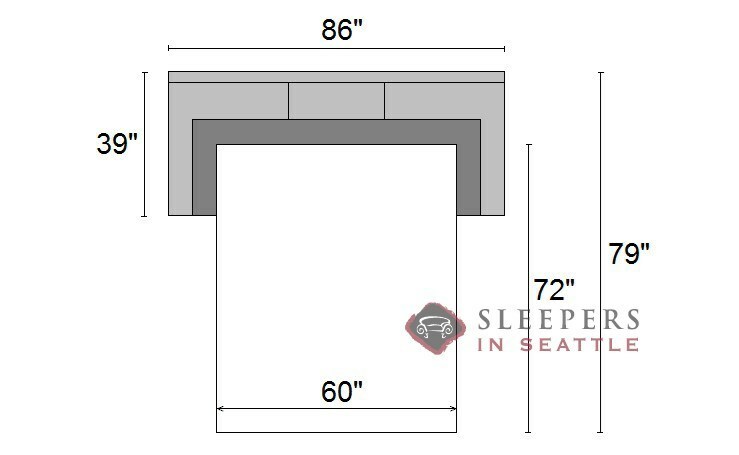 Our guest room doorway, if the door is removed, is only 29" Can the Rubicon sleeper be dismantled to fit?